This past week ranks up there with one of the best ever at Camp Bonaventure. 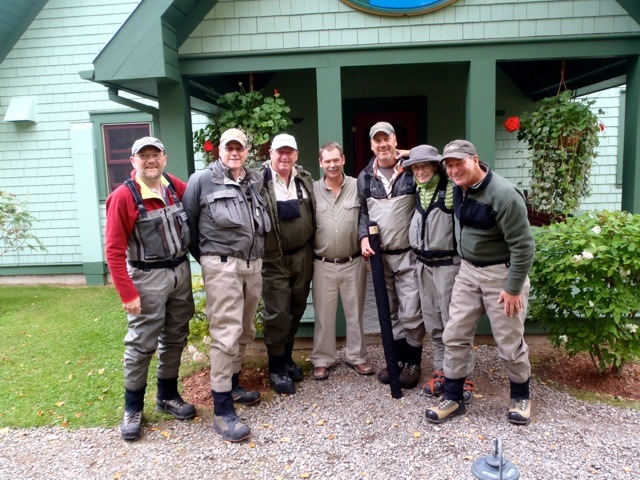 We just held our annual Spey casting and salmon fishing week and it was a blast! Our hosts and instructors were World Champion spey caster Ian Gordon from Scotland and well known Canadian master spey caster David Bishop. 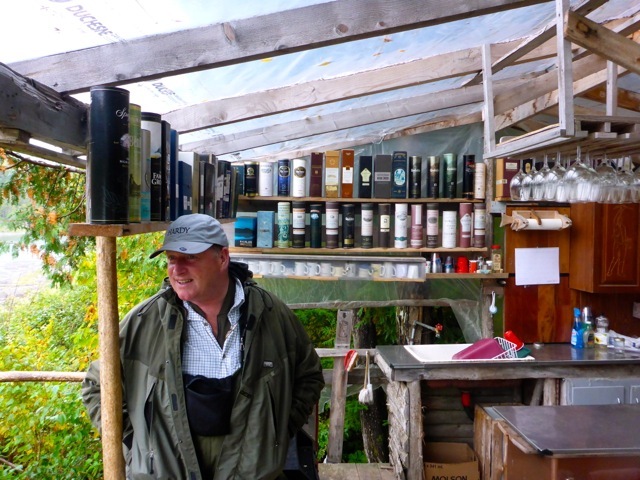 Ian ist one of the world's leading experts with a double handed rod and has been working in the salmon fishing industry for over 30 years. A world Spey casting champion, Ian holds a STANIC and AAPGAI instructors qualification amd runs the UK's premier fishing and casting school. Senior consultant for Hardy Bros. Ian is responsible in designing their new range of double handed rods and lines. Ian Gordon, Ian choosing a fly for his first cast on a Canadian Salmon river. David is one of North Americas Spey casting experts. 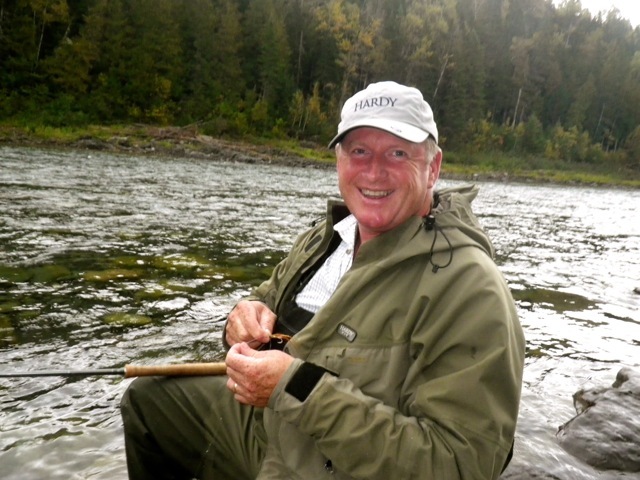 Two time member of the Canadian National Fly-fishing team, his talents as a master Spey caster are well known world wide. 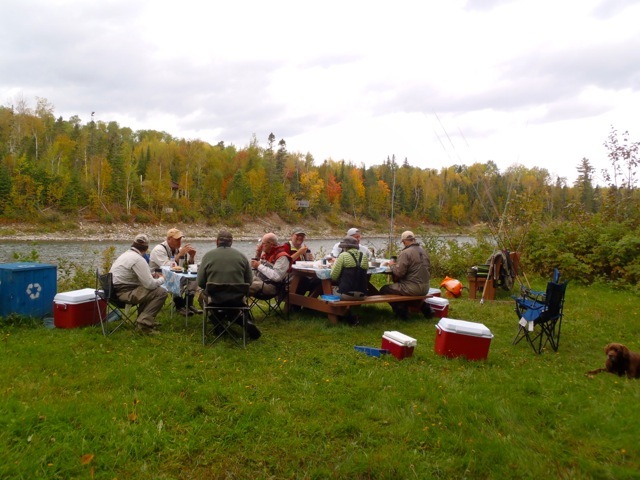 Taking a lunck break after a wonderful morning of spey casting. Participants enjoyed learning the art of Spey Casting and techniques to improve their salmon fishing skills. Evening seminars on equipment selection and fishing pointers were fun and informative. It was interesting to compare fishing techniques from both sides of the pond. Everyone had a fantastic time, the only thing missing was the scotch the next morning! Just to make Ian feel at home!!! If you are interested in joining us for next years school, give me a call or send me an e-mail, space is limited.